At 11:56, of July 9th, 2018, a LM-2C/SMA launch vehicle was launched successfully and sent the PRSS-1 and PakTES-1A satellites to designated orbits. This is another significant space program between China and Pakistan after the successful in-orbit delivery of PakSat-1R Satellite, marking a step forward for China-Pakistan aerospace cooperation. 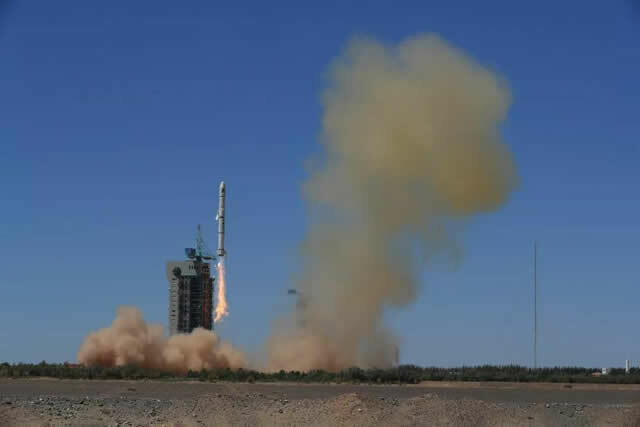 This mission was based on the PRSS-1 Satellite System Program Contract signed between China Great Wall Industry Corporation (CGWIC), a subsidiary of China Aerospace Science and Technology Corp. (CASC), and Pakistan Space and Upper Atmosphere Research Commission (SUPARCO) on April 20, 2016. In accordance with the Contract, as the Prime Contractor, CGWIC in-orbit delivers to Pakistan a remote sensing satellite , Ground Control System and a Ground Application System, and provides such technical support services as in-orbit tests, on-site support, training, launch insurance and so on. The PRSS-1 satellite was designed and manufactured by DFH Satellite Co. Ltd., China Academy of Space Technology (CAST), a subsidiary of China Aerospace Science and Technology Corp. (CASC), based on CAST 2000 platform. The information PRSS-1 satellite obtains will be extensively used in the fields of Pakistani's territorial resource investigation, environmental protection, disaster monitoring and management, crop yield estimation and urban planning. It will play an important role in developing national economy, improving the people's livelihood, promoting social progress, as well as providing space remote sensing information service for the establishment of the China-Pakistan Economic Corridor and the construction of the Belt and Road Initiative. The PakTES-1A satellite was designed and developed by SUPARCO. The LM-2C/SMA was designed and manufactured by China Academy of Launch Vehicle Technology (CALT), a subsidiary of CASC，and this mission is the 3rd flight of LM-2C/SMA launch vehicle and the 279th launch of Long March family.